The Australian Shepherd also known as an Aussie comes in 3 different sizes. These sizes are toy, miniature, and standard. They all share the same characteristics though which is fantastic. 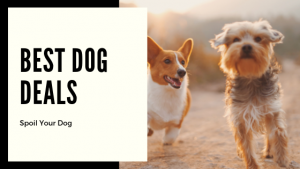 The variety of sizes can be helpful for apartment living or housing weight restrictions if you want this particular breed. 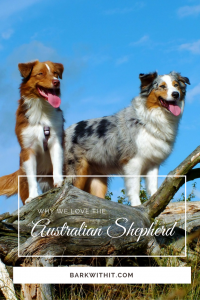 Aussie’s are friendly and energetic and excel in farm life but can also be good in a suburban setting if they have a large backyard and get plenty of exercise. 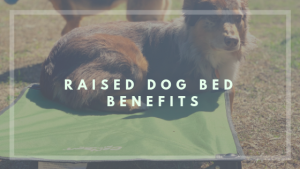 They aren’t best suited for city life unless the have a very active owner who can provide the exercise they require. Toy Australian Shepherds are the smallest of this breed. They stand around 10-14 inches tall at the shoulders when fully grown. The average weight is between 12-17 pounds. They may be small but have all the characteristics of herding as their larger relatives. Aussies will require plenty of exercise and stimulation. This breed isn’t fragile like other small breeds making them good for families with young children as well. When a miniature Australian Shepherd is fully mature, they stand around 15-18 inches tall at the shoulders. 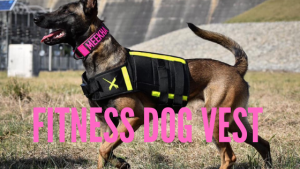 They typically weigh between 25-40 pounds on average as well. Aside from the size, they are basically exactly like a standard Aussie. 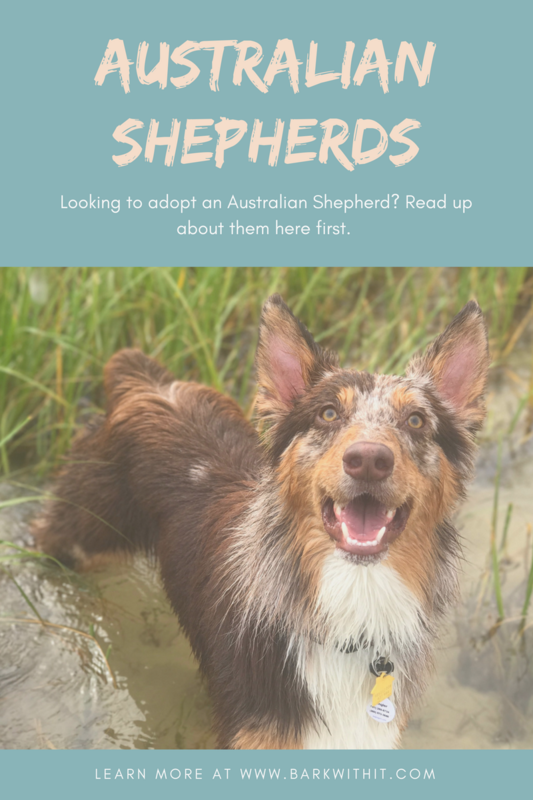 They were made by taking the smallest adults of a standard Aussie and breeding them together (from different parents so no inbreeding was done) until the puppies all would be within this size and weight range consistently. This made the miniature Aussies true to size and type. 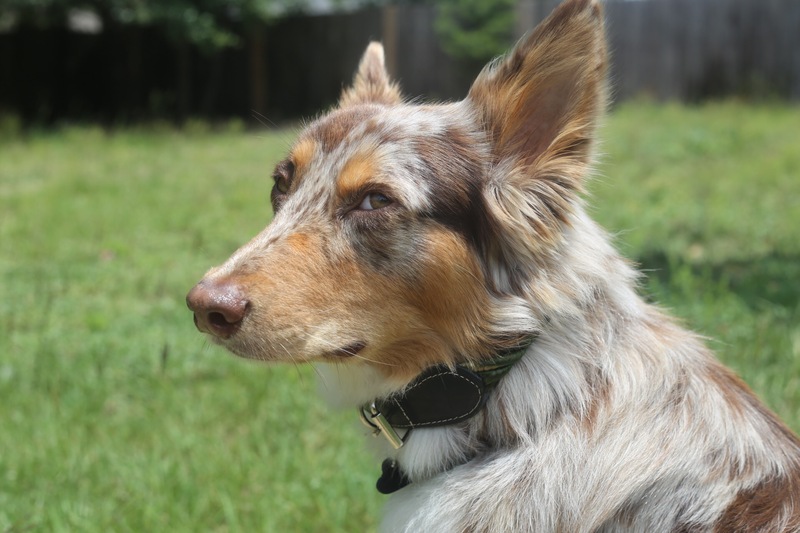 For standard Australian Shepherds, the males and females are slightly different heights and weights. A typical male stands between 20-23 inches tall at the shoulders and weighs between 50-65 pounds. The females typically stand around 18-21 inches tall and weigh between 40-55 pounds. 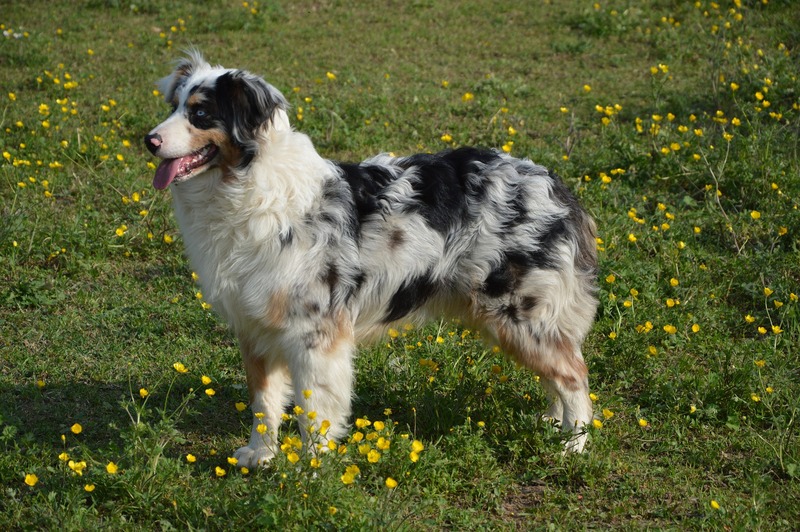 They come in a variety of colors as well such as black bi, black tri, red bi, red tri, and blue merle, and red merle. White markings are common on this breed and can be on the legs, neck, chest, and under the muzzle making it part of a facial blaze. They also have medium-length coats which can be wavy or straight. Aussies also sport feathering type fur on the back of their legs. The tails of Aussies can be different. Some have a natural bobbed tail while others have a full size tail. For show quality, the Aussie must have a bobbed tail and these are to be docked when they are about 2 days old. Breeders have historically bobbed the tails and is quite standard in the USA and Canada. Over in Europe, including the UK Aussies aren’t allowed to have their tails docked as that has been banned. Australian Shepherds require a lot of exercise and activity. They are most behaved when they have a job to perform. These dogs are very eager to learn tricks and/or go through agility training. Aussies are very intelligent dogs who always want to please their owner. 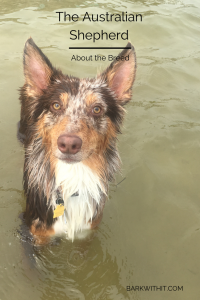 If you decide not to train your Australian Shepherd, they will use their time to become destructive or test their limits of what they can and cannot do until properly trained. They typically don’t have very many health issues. Some that they could have or gain overtime are vision issues. 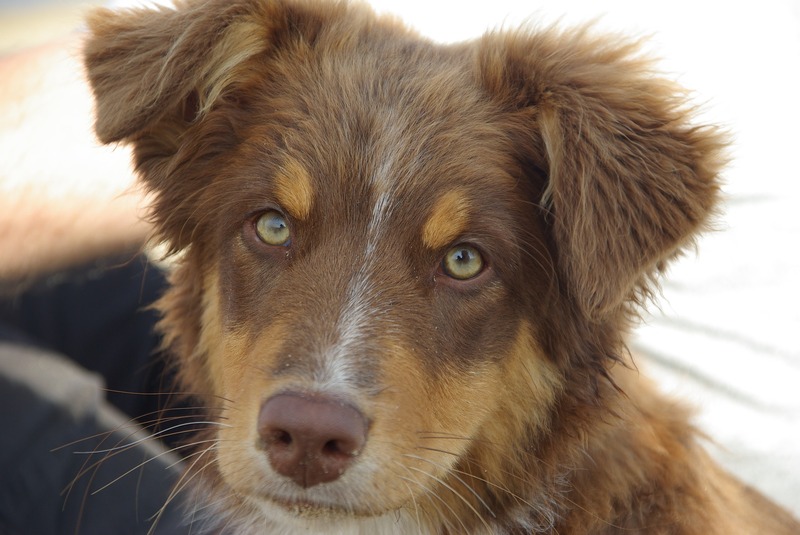 Vision issues are the most common health issue with an Australian Shepherd. Epilepsy can happen with this breed but isn’t very common at all. Heart disease has been slowly increasing with this breed. Another concern is a puppy being born deaf, especially if it has a lot of white on it’s head. Some of these issues can be genetics while some are environmental. I am the proud owner a an Australian Shepherd, he is a wonderful dog and a red merle. These dogs are attached at the hip and a wonderful companion dog My boy never wants to stray far from me or my husband, whoever he is playing with or going on an adventure with. He’s very social but can be skittish at times, especially in parking lots full of cars moving and people. With practice though he has greatly improved. We do our best to keep him going to social places to help him be less scared and skittish of new places. He is always going on runs with us and can play fetch for hours and hours every day. This is key as he doesn’t have a particular job here but we make sure he gets plenty of exercise that he needs to stay happy and healthy. We have an Airedale terrier and we took him to training class with a mini Aussie. They were great friends because they’re both high energy. That’s awesome. Airedales aren’t seen very much where I live, I’ve only seen one here. Gorgeous dogs though. I have always loved these dogs! My favorite is the blue Merle.